The North Face announced plans to build its first free, public climbing wall within the underserved Montbello neighborhood in northeast Denver. The project marks the first of a “series of public climbing walls” it plans to build in a partnership with The Trust for Public Land. The announcement was made at the Outdoor Retailer + Snow Show, and it’s part of the brand’s “Walls Are Meant for Climbing” program. The climbing wall will be a part of the larger ongoing Montbello Open Space Park restoration project. Montbello Open Space Park will be a 5,000-acre green space serving 40,000+ low-to moderate-income youth and families from the area. 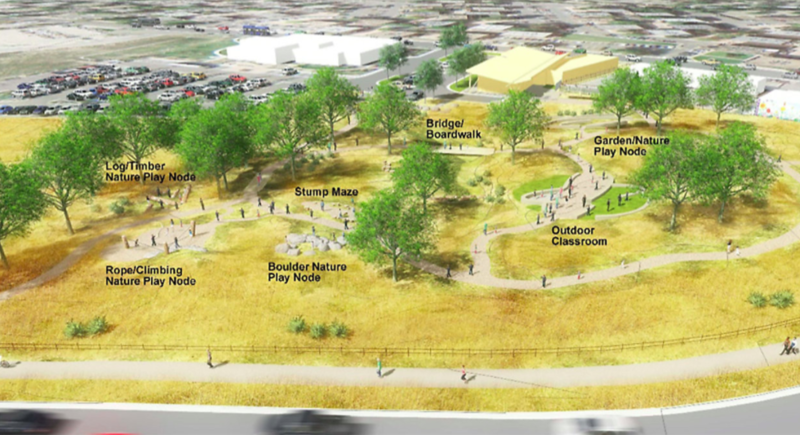 “The Montbello Open Space Park is no average park – it is being carefully restored to its natural state and will include beautiful native gardens, educational kiosks, walking trails, and other outdoor activities, like climbing! Construction on the wall will begin this spring and the plan is to have it open for climbing in the summer,” said North Face in a statement.